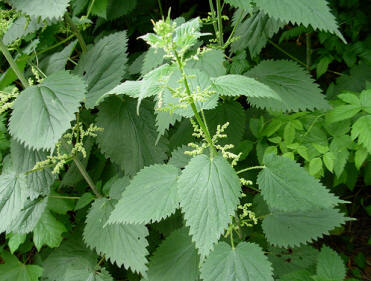 Urtica dioica, commonly know as the stinging nettle, is a misunderstood species of perennial herb that is native to Europe and much of North America. This plant, which is commonly found along roadways, in empty lots and near rivers and streams is well known to many people for the small hair-like structures lining the leaves and stem, which can inflict a painful sting and itchy rash when it comes into contact with skin. But this so called “nuance of a plant” that grows like a “weed” is actually one of the most nutritious, wild plants in existence. Urtica dioica has been used by native peoples for centuries as a dye, to weave cloth, for its medicinal properties and as a delicious and nourishing edible green. If you are interested in exploring the wonders of this plant, in learning why it stings, how it reproduces and even how to prepare a meal using stinging nettles continue exploring this site. Click on the links at the bottom of each page to take a personal tour though the wonderful world of Urtica dioica. If you are interested in learning about other organisms involved in the University of Wisconsin- La Crosse's multipleorganisms.net project, click here. You can contact Kailee Homolka, the author of this website, by clicking here. 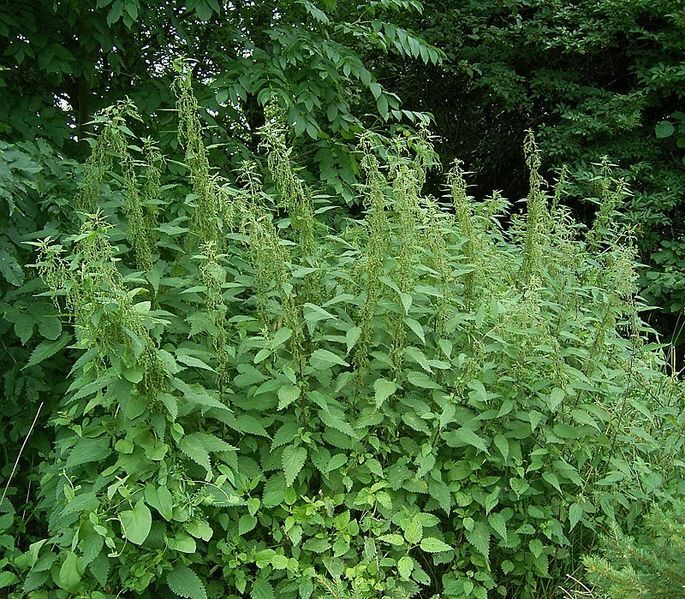 To learn the meaning behind the scientific name Urtica dioica, click here.